Heeft u een vraag voor Hong Kong Cosco Hotel? Voor reizigers die komen voor de bezienswaardigheden van Hong Kong, is Hong Kong Cosco Hotel een perfecte keuze. Gelegen op 5 km van het hart van de stad, bevindt dit 3-sterren hotel zich op een excellente locatie met de grootste attracties binnen handbereik. Dankzij de praktische locatie liggen alle belangrijke trekpleisters in de buurt van het hotel. Het Hong Kong Cosco Hotel biedt gasten superieure dienstverlening plus een breed scala aan voorzieningen en is toegewijd om uw verblijf zo comfortabel als mogelijk te maken. Maak in het hotel gebruik van een selectie topklasse faciliteiten, zoals gratis wi-fi in alle kamers, 24-uur receptie, bagageopslag, wi-fi in openbare ruimtes, roomservice. De ambiance van het Hong Kong Cosco Hotel weerspiegelt zich in de inrichting van de kamers. plasma tv, draadloos internet (gratis), airconditioning, wekservice, bureau zijn slechts enkele van de faciliteiten die u ter beschikking staan. Daarnaast garanderen de talrijke recreatieve mogelijkheden dat u zich tijdens uw verblijf kunt vermaken in het hotel. Wat de reden van uw bezoek aan Hong Kong ook is, het Hong Kong Cosco Hotel is de perfecte keuze voor een enerverende vakantie. We stayed for 4 nights. It’s conveniently located in the middle of MRT and also bus stop not too far from the hotel. The bus to airport is also maybe a 5 mins walk from the hotel. Food is also available around the neighborhood. It’s a very nice and less busy neighborhood in compare to places like Central or Kowloon. Without a question the hotel that provides the best value for money in Hong Kong. Close to a metro station, easy to reach by airport express service. Very clean and helpful staff. 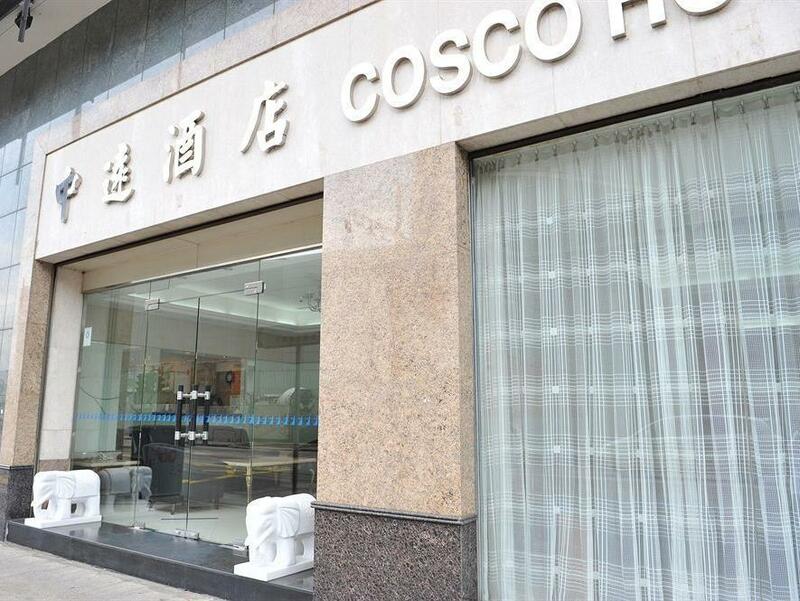 For those exploring Hong Kong Island and especially the western part and Kennedy Town, Cosco Hotel is great because of its prime location. The bus stop to airport is just across the street. The Bus to anywhere in downtown area whether to Causeway Bay, Central, Tsim Sha Tsui, Aberdeen and ferry to Lamma Island, Sheung Wan Ferry to Macau are also across the street. There is An MTR station (HKU station) at the back street but it leads to a long underpass (about 400 m) to the actual train platform from its entrance so i don't use it often because it's quite far. But overall great Location. There is also swimming pool center across the street. At the street behind the hotel you can find numerous eating places and laundrie as well. Beds are not very comfortable as they're quite small. Plus, there's no window in each room. Well, this is Hong Kong, so can't complain much. Despite tea cups cleaning and toilet bowl brushing having been forgotten a few times during my stay, Cosco suited me eminently. The room was quiet and clean. The marble topped furniture, as well as the excellent heat retaining electric kettle was greatly appreciated. Situated in an un-noisy district of the HK island, it is not only close to the MTR station and the tram and the airport bus (A10) stops, but also eateries of all shapes and sizes. When i booked with Agoda staffs told me that with this booking they can only give a non window room . How come that I have a request for a room with window and they insist that with Agoda only a non window room is available. Amazing space for the price i paid, floor space was more than double my previous hotels I've stayed. Concept was old but the quiet surrounding environment and cleanliness made up for it, due for a refresh couple of years down the road. 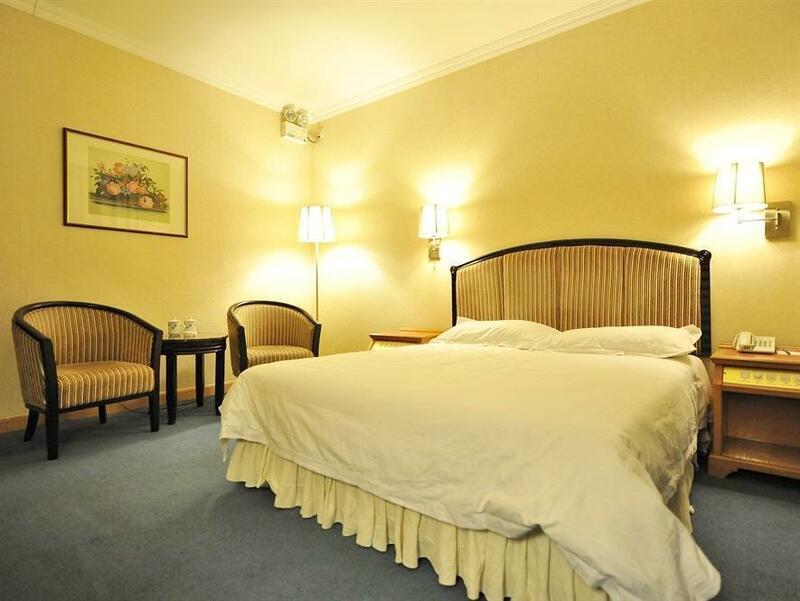 Clean and tidy spacious room and loo; supreme location for downtown activities; walkable distance to the waterfront for sunset and to Kennedy Town for some drinks. More sockets would be desirable as we could only locate two in the room. Agoda has an option for hotels to list if a room has no window, and Cosco did not share this information like other hotels do. Would not have booked in a windowless room. Also, constant smoke coming in from other rooms. Quiet area, more like a guest house than a hotel, only one floor with rooms around a maze without signs where rooms are situated. Clean and comfortable with all needs provided. Daily house keeping with clean towels replaced. Exceptionally huge bathroom enough space to tango! Only set back but not a major issue was our shower unit flooded whenever we shower. Bus A10 to airport just across the road, as well as buses, MTR and trams. Very convenient transportationwise! The area has many good restaurants and the Westwood Shopping Mall nearby. Upon entering our room, we found that: 1. There was hair from we-don't-know-who on the desk. There were tea leaves on the carpet (on the floor) near the water kettle. There were dried-up “bubbles caused by shower/shampoo” sticking on the wall inside the shower area. 2. The whole room was full of the smell of cigarette (and we had to request to change room). This room should not have been offered to us in the first place until the smell has been removed! 3. This hotel is mainly hosting travellers from mainland China. During our stay (4 nights), they were very noisy and always speaking loudly to their friends in other rooms (which sounded like shouting) in the corridor. Their noise woke us up 6am on two mornings. 4. If you're only looking for a cheap room, this hotel is reasonable choice for value for money. Consider this hotel in Hong Kong, I would say this is a solid 2.5 to 3 stars hotel in Hong Kong. Although this hotel is not big, it provides all the basic amenities. It is close to the MRT but you need to walk inside the tunnel for ~5 minutes. It also close to a shopping mall. Their room isn't too small as other HK hotels. It has bus stop so very easy to access. No breakfast but otherwise you get all the basic stuff for your stay. + Room is spacious. Close to the bus, subway, and tram. I was able to check in the hotel around noon. -The room did not have a window. The air circulation is not that good. The cleaning chemical is way too strong. There is a blood stain on the mattress. Be aware if you book the room with agoda, you tend to get a room without window. The hotel location is very good it is just 3 to 5 mins walk from HKU station. But you can hear the outside noise in the room. Also, I was a little bit disappointed because we requested for a queen size bed since we are a family of 3 with baby but there is no available so we just bare to sleep on 2 single beds separately.